How was Pedro Poveda? 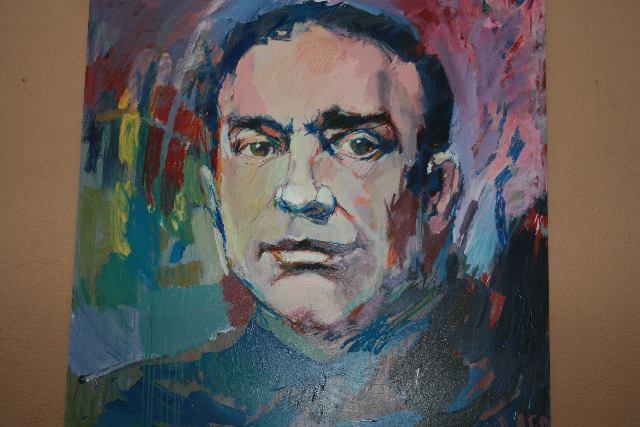 1874 - He is born on the third of December in Linares (Jaén) Poveda, as a child, gets acquainted with the problems of its laborers and with a city that is slowly being industrialized. 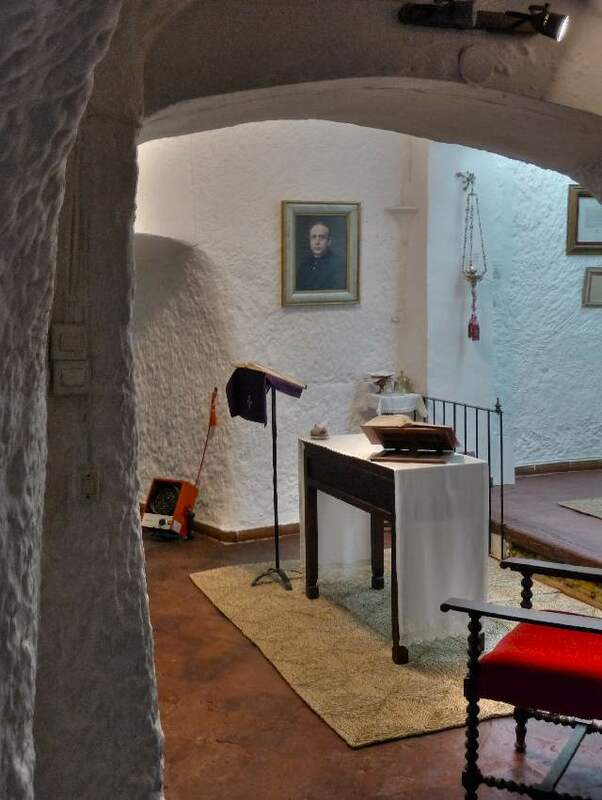 1888 - He decides to become a priest at a very young age and enters the seminary of Jaén where his formation takes place in an atmosphere of simplicity, prayer, study and merriness, a period of his life he will always remember fondly. 1884 - He gets a scholarship to continue his studies in the seminary of Guadix where he gets acquainted with the poor workers who live in the shanty quarters of the caves near the town. The “cueveros” (those living in the caves) are very indigent, uneducated people, and Poveda feels the responsibility to educate them and bring them the Good News. 1897 - Ordained in Guadix, he begins his work as evangelizer, humanist and educator among the poor laborers who live in the caves of Guadix. He wants to be close and accessible to them, so he moves and lives in one of the caves himself. He distributes alms and other donations he receives from people in the city and awakens their sensitivity towards the conditions of misery in which those people live. For this purpose he organizes the St. Vincent de Paul Conferences. 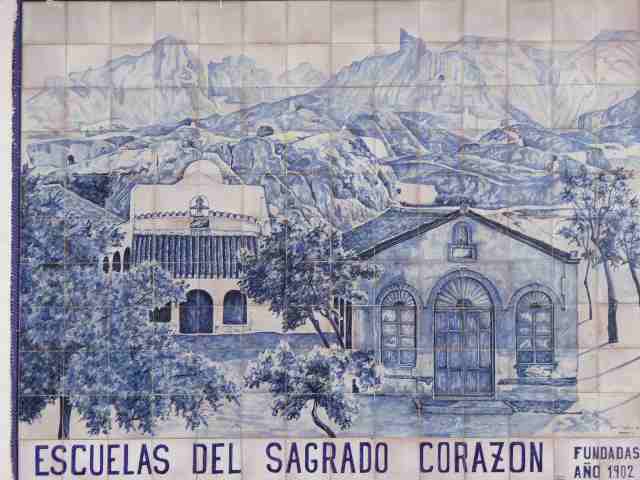 1902 - Convinced of the importance of education, he founds the Schools of the Sacred Heart for poor children, utilizing the innovative methodology of the New School with the consequent adaptation to their reality and for this he follows the model of the Ave María Schools founded by Fr. Manjón. 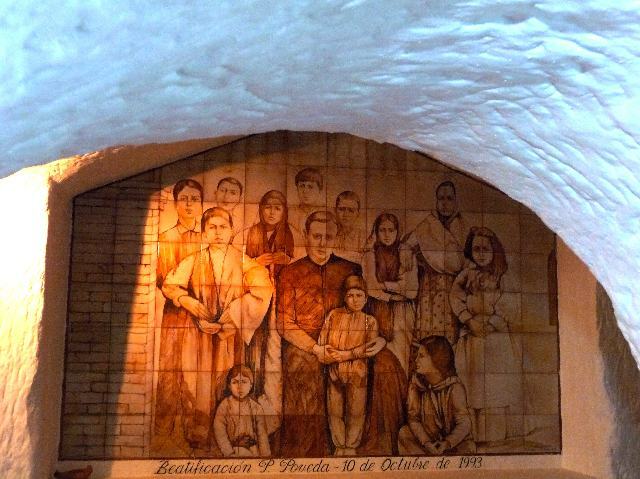 1905 - Due to difficulties with the acceptance of his socio- educational activities he sees himself obliged to abandon the work in the Caves of Guadix and thus he moves to Covadonga (Asturias) as canon of that Basilica. There, close to Our Lady of Covadonga, popularly referred to as La Santina (The little Holy One), he reflects on the importance of education and on the need to avoid a separation between faith and science. Aware of the importance of the role of Government in matters of education, he insists upon the capital role of teachers and on the need for the presence of Christian teachers in the schools. He dedicates time to publish some writings on the problems concerning education and on the formation of teachers and professors. Due to his writings and projects he has been called “educator of educators” and a pedagogue. 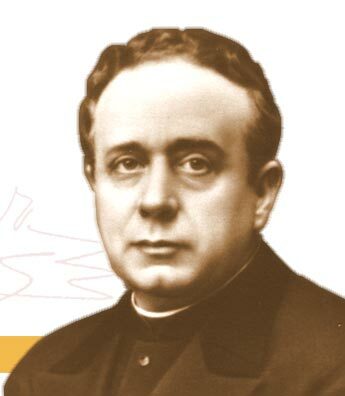 1913 - He lives in Jaén, where with the collaboration of Josefa Segovia, then a student at the Advanced Teachers School, carries out a pioneering work on the mission of lay people in the Church through the impulse of the Teresian Association. He organizes activities and encounters for teachers and professors. Some of his most important spiritual writings belong to this period. 1924. Pope Pious XI approves the Teresian Association as an international Pious Union of The Faithful. Its aim is to invite men and women to work for a social and human transformation, in accordance with Gospel values, from the platform of their own professions, especially those related to the fields of education and culture. 1936 - On July 28, at the break of the Spanish Civil War, Pedro Poveda, declaring himself a priest of Jesus Christ, dies a martyr of faith. The Teresian Association introduced his Cause of Canonization in 1955. On October 10th, 1993, was beatified by Pope John Paul II. He was canonized on May 4th, 2003, when the Pope visited Spain.